Another week another Dapp weekly report from Tron. The blockchain protocol published its report on Feb. 22 in which it acknowledged that the growth of the Dapp market has slowed down. However, Tron has managed to see the addition of 14 new Dapps in the past week to take the total number of Dapps on the network to 157, according to DappRadar. 107 Dapps out of the total of 157 are gambling Dapps, which account for 68 percent. The usual leading Dapps remain ahead, and these include Epic Dragons, PLAY GOC, Crazy Dogs Live, Tronvegas, and TRONbet. The blockchain network has something to be happy about after the daily transaction volume, daily active users (DAU), and average daily transaction number increased in comparison to the previous week. The daily transaction volume on the network reached 281 million TRX. Average DAU stands at 56,000 while the average daily transaction number climbed to around 890,000. Tron has already caught up with EOS – the blockchain firm backed by the $4 billion it raised in its year-long ICO – but the Dapp market has not yet seen a new hit. “However, if we take a closer look at the two ecosystems, we can see that Tron’s Dapp user growth is significantly faster than that of EOS, revealing Tron’s greater market potential than EOS at the moment,” reads an excerpt from the report. Tron is cooperating with Coincodex in a deal that will see the latter add a Tron section on its website. Coincodex was launched in September 2017 and has carved out its name as a blockchain information platform for users of digital assets. The game has only two battling modes. The first mode is a free-entry battling room which can be seen as the practice mode for players. There are no on-chain transfers involved. 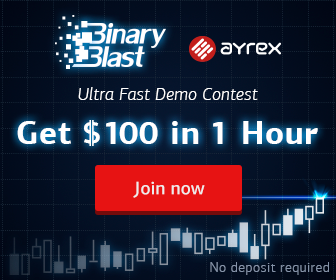 The second mode is or players with TRX holders as it requires an entry fee of 100 TRX. This joining fee is paid to a smart contract before the game begins. Players battle it out against other players, and the outcome of the fight determines whether the players win or lose TRX. At the end of the game, the smart contract settles the payment and returns a portion of TRX to the players in accordance with their performance. The second Dapp is CLASH ROYALE. It was created by a team of developers from Russia. It has a well-designed user interface and is relatively easy to play. The gold coins can be swapped for TRX at a rate of 25 gold coins for 1 TRX. There are 12 heroes, and their prices are different. The number of gold coins earned is different. The game can be seen as a small capital market. Players can earn each day, but the payout is after a month. 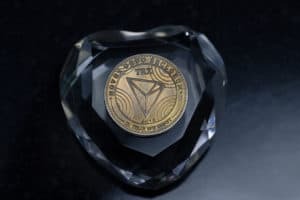 Tron Ecosystem Adds 14 New Dapps Despite Slowdown in Overall Dapp Market Growth was originally found on copy trading cryptocurrency | Blockchain News | Bitcoin News | blokt.com.